We’ve been asked to show some mold pictures so people can compare the mold they have in their homes to a picture of mold to see if they might have a black mold problem. 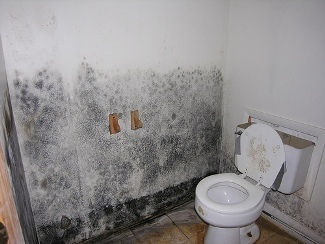 Although all molds can cause health problems, black mold is the most dangerous. 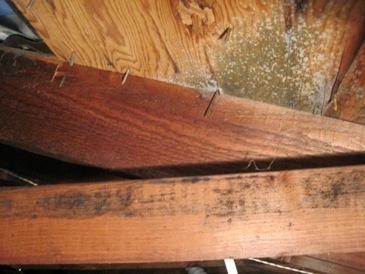 Look for black or gray patches or streaks of mold like that shown in these pictures. From these pictures you can see how you might find just a small amount of mold or you might find a bathroom wall covered with it. You may also notice discolored areas on the ceiling or walls, indicating a water leak. You might not actually see mold there, but there may be mold above the ceiling or behind the wall, and if you don’t address the problem promptly, mold may begin to grow. Compare this picture of mold in the bathroom to your bathroom, and the picture of attic mold to your attic, and the picture of basement mold to your basement. Just be aware that your mold problem may be less severe or may be more severe so it may look a little bit different. Look in any damp areas of your home and any areas where you’ve had water leaks. For instance, look under sinks, in basements, in attics and in garages. If you’ve had a leaky roof or a leak around a window or door, look there. Mold can grow under carpet or behind drywall, making it hard to spot, but often it’s in pretty easy-to-see areas. If you see a little mold like in this picture of mold, though, chances are there is more mold you don’t see. Like in this bathroom picture – there is likely mold behind the wall and under the sink and maybe even under the floor that you can’t see. Unfortunately, if you don’t clean up all of the mold, your family will likely continue to suffer mold-related health problems and it will eventually spread until it looks like it does in these mold pictures once again. 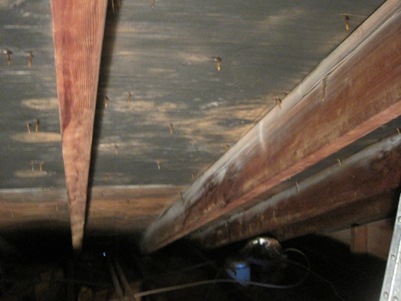 It’s important to understand the many health risks of mold like that in these mold pictures. You or your family members may suffer chronic sinus infections, asthma attacks, respiratory infections, headaches, dizziness, fatigues, an altered mental state and other health problems, which often just gets worse over time until you solve your mold problem. Your first instinct if you find mold like in these pictures is going to be to try to clean it up. Some people find cleaning it up with a commercial biocide agent works well enough, but you must understand that if you don’t do a thorough job, your bathroom wall will soon look like the picture of mold once again. In the meantime, your family will continue to be exposed to the many health risks associated with toxic mold. You’ll also need to eliminate the source of moisture by fixing the leak in the roof or the leaky pipe or whatever is allowing the water to come in and mold to grow like in these mold pictures. 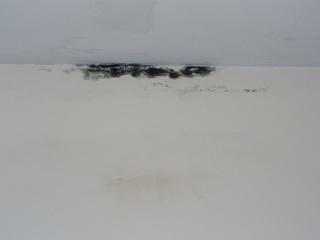 We suggest calling in a professional if you have an area in your home that looks like this picture of mold. A professional will come for free, give an assessment of the situation, help you find all the mold, and give you valuable tips and information and a price quote. You can then decide if the job is one you can handle yourself or if you are better off hiring a pro. Just follow this link to find a qualified Mold Removal Specialist in your area. While everyone wants to find a cost effective solution, don’t be tempted to cut corners. The problem will just return in a short amount of time if you don’t deal with it properly.